Although I officially kicked off my max hydration method experiment last Thursday (it is now late Monday night, a few minutes from Tuesday to be specific), today marked only day 2 of my time adopting this method. Although the terminology is confusing, here's how I get it to make sense for me: each wash day that I start over is considered 1 day. If I washed my hair every day for 7 days, that would be 7 days. If I washed my hair every other day for 14 days, it would still be 7 days. If I wash my hair every 3 days (like I'm doing), for 21 days, that's still 7 days. Rather than count the number of days between washes (like we typically do), the number of days you wash is what actually counts. Does that make sense, or are you more confused? One cycle of the max hydration method is considered 7 days. Depending on how much time you have, your hair type, how succeptible your hair is to breakage from frequent manipulation, and how quickly you'd like to see results, those days can be consecutive, or broken up. As I mentioned previously, I'm not doing this every day. Many ladies go through several cycles to achieve what is considered "max hydration". Hair that has achieved max hydration has root-to-tip definition, even without product. Different parts of your hair may achieve max hydration at different times, and of course each texture of hair will be different. 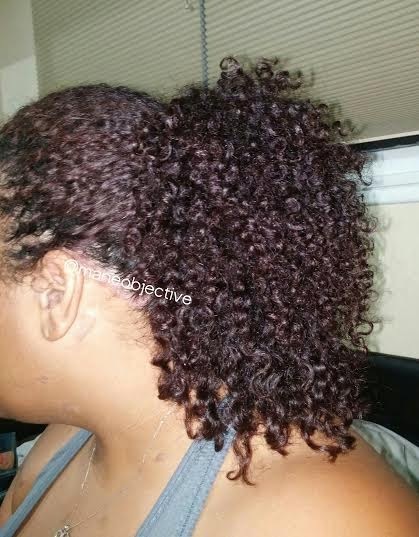 So now that I've (hopefully) de-mystified the "days", how is the process working for my hair? So basically, it's the same number of steps I'd do on a typical wash day (4). The major changes are that I'm not pre-pooing, but I'm utilizing the Baking Soda Cleanse to detangle, hydrate, and cleanse my hair, and adding in the Clay Masque (it's like a second conditioning). Today I was able to detangle and cleanse with the baking soda/conditioner mix in about 45 minutes (25 minutes to detangle my whole head, 20 minutes with the mix sitting in my hair while I did some cleaning).It took under 5 minutes to rinse out the mix and apply my deep conditioner, and I sat under my hooded dryer for about 20 minutes. After rinsing, the clay masque sat in my hair for another 20 minutes while I continued to clean. Rinsing the masque is when I finally hopped in the shower (because it takes a constant stream of water to thoroughly rinse the clay out, and I like to apply my leave-in on saturated hair). All in all, from step 1 to 4, I was able to finish everything off inside of two hours. Not bad for wash day, eh? There exists some magic between baking soda and bentonite clay. Because my hair has less frizz and those dry ends have one foot on the grave and the other on a banana peel, detangling isn't as treacherous of a task as it used to be. As I mentioned earlier, I was able to get through my entire head in about 25 minutes, without super slippy conditioner (the Tresemme Naturals on its own has slip, but when combined with baking soda it significantly diminishes). The dry ends that would snarl and knot are practically nonexistent, which requires me to put less effort into detangling. In fact, when applying my deep conditioner, I'm able to just apply it in two sections and rake it through, as opposed to the typical 5 or 6 sections I used to. Score. You mean I'll get to use these more than once?! Here's where I do a little hallelujah dance and shout. If you've watched my videos on wash and go's, then you've seen me slather product in my hair like there's no tomorrow. This was not only to improve the longevity of my style, but also to beat frizz into submission by weighing it down with product. With frizz being whipped into shape by the max hydration method, I find myself actually needing less product to achieve the same amount (if not more) definition than previously used. 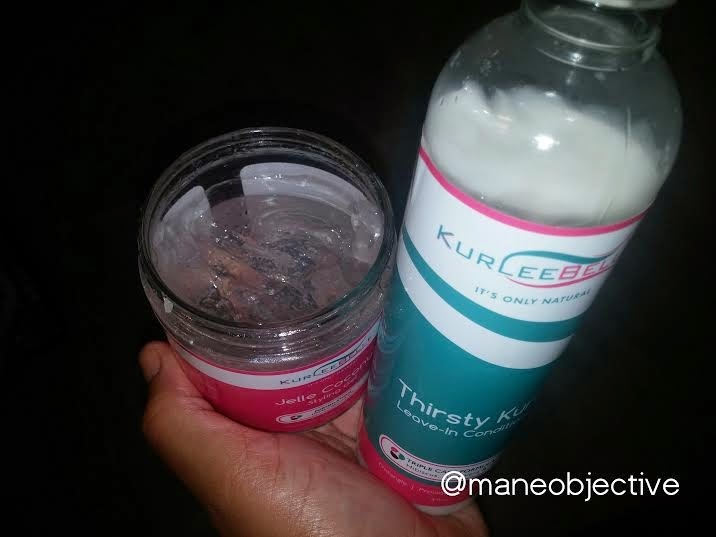 For example, the last time I used this Kurlee Belle Jelle Coconut Styling Gel for a wash and go, I used 90% of the jar in one styling session (the jar is 8oz). 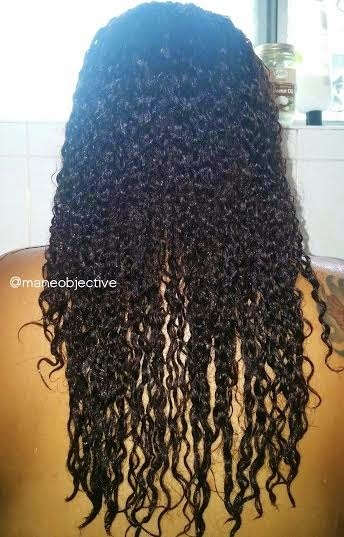 The same goes for the 8oz Thirsty Kurls Leave-In (I would have used at least half of the bottle). But since my hair is already so well defined, I find myself having only used a fraction of the bottle and jar (which is probably closer to how it should be, lol) to keep my hair hydrated and defined. The same thing happened with my Eden BodyWorks Jojoba Monoi DC. I used 1/6 of the jar, instead of half. Don't judge me, lol. Just help me celebrate the money I'll save by having my products stretch longer! I'm on the fence about this one. In general, I have pretty thick hair. Not ridiculously-i'm-blocking-everyone-out-the-picture thick, but thick enough. I've noticed both days that immediately following the clay rinse, my hair looked and felt thinner. 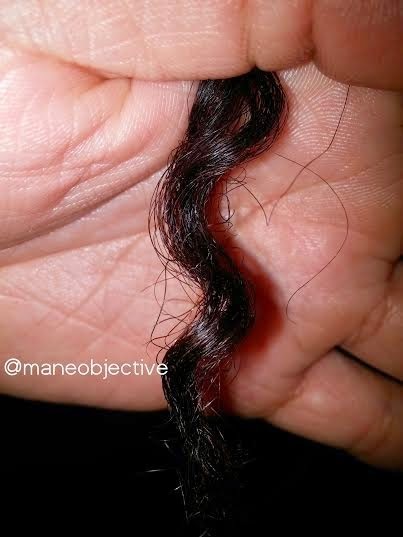 I haven't been shedding or experiencing breakage excessively (on the contrary, I've been seeing less hair come out), but because my hair is better hydrated (I'm assuming), it clumps more, giving the appearance of it being less dense. I really only notice this difference when it's wet, and when I apply too much styling product (like day 1). Perhaps all the bulk I had grown accustomed to seeing in the shower was just frizz. This day 2 MHM hair (day 1 with Kurlee Belle in it), seems pretty typical for freshly washed hair. If it grows bigger over the next few days between washes, I'll let this go as a potential area of concern. I've gotten some questions here and there about max hydration method approved products. I'll just make it clear: I'm in no way the arbiter of what products are and are not approved. But in all honesty, I've kinda stopped caring about whether a product is approved or not. I'm pretty much giving anything that is silicone-free the green light (I don't own any products with petroleum, mineral oil, or isopropyl alcohol anyway). I'm also less restricted when it comes to measuring out baking soda for my conditioner, or the ingredients for my clay mask. I'm no expert, I just don't have the patience for it. I pour until I feel the amount is sufficient. There's a reason I cook and don't bake. Baking is an exact science, whereas cooking (in general) affords you some leeway in the ratios you can use (save for rice, I can't cook rice for shh...). You can always feel free, as I said before, to adhere to the detailed max hydration method guidelines. Overall, I'm really enjoying the results of the max hydration method thus far. 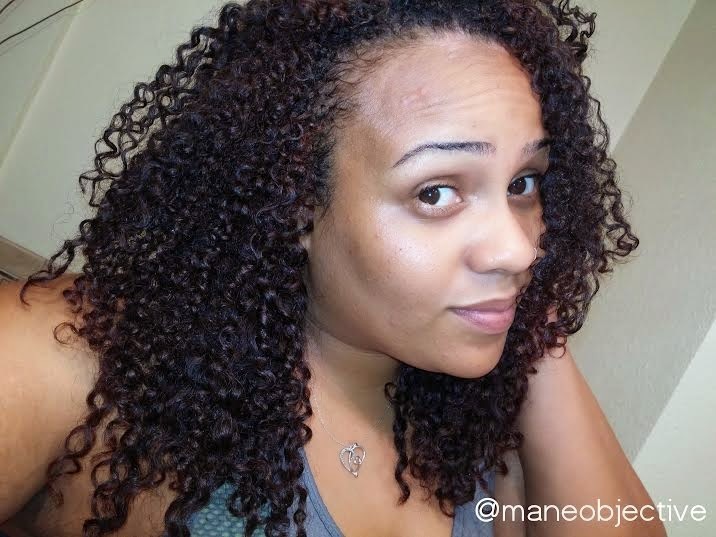 I know the method is for type 4 low porosity hair, but this mane o' mine is definitely benefitting. I'm about ready to call PinkeCube and Miss Dee Kay a set of geniuses. I don't know if I'll go for the full 7 days, or where my regimen is headed after this. I'll keep ya'll posted! Click here for details on what the max hydration method is, what it promises to do, and more.